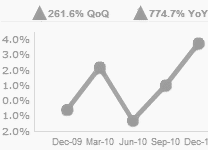 Analyzing THE 5300 CALL REPORT Has Never Been Easier! Start a risk-free trial today and impress your team or the Board of Directors. You will quickly see that it has never been easier to quantify member benefits and track important sustainability metrics. Our sample reports offer a glimpse of what CUmetrics customers enjoy with their subscriptions and offer you a free tool to get a better look at your credit union or the credit union down the street. Let us know your availability, then join us for a 30 minute demo of CUmetrics. 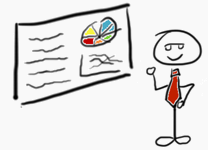 You'll leave with a custom analysis package based on the peer group you choose during the meeting. 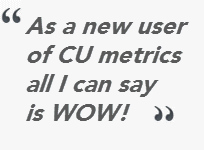 See what CUmetrics customers are saying about how they are using CUmetrics to save time and better analyze credit union performance. 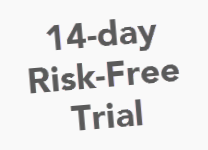 14-day Risk Free Trial on All Accounts. Let CUmetrics help your credit union work smarter and communicate better.